When opening ceremonies for the 2012 Olympic Games begin this Friday, a school-record 19 Penn Staters will walk the London Olympic Stadium, representing eight countries: the United States, Canada, Great Britain, Israel, Jamaica, Mexico, Puerto Rico, and Suriname. Among the 19 are four current Nittany Lion student-athletes, 14 alumni, and one coach. This year will also mark the 15th consecutive time that Penn State has sent athletes to the Games, where 78 Nittany Lions have won 23 medals, including five golds. One current Penn Stater hopes to add to that number for a special reason. For current Penn State fencer Miles Chamley-Watson, who is competing for the United States, these Games are also an opportunity to give back to Penn State. His personal goal to win a medal, he says, is in part to help alleviate the pressure the Penn State community has experienced in this past year. “Penn State has done so many amazing things for me, so what is a better way to thank them with a gold medal?” says Chamley-Watson. These Games will also serve as a shining example of how Penn State isn’t just about football, but as our athletic program as a whole. “To be alongside 18 other Penn Staters at the Olympics just shows the quality of our athletic department,” said Chamley-Watson. So, without further ado, here are your Nittany Lion representatives for the 2012 Olympic Games. Lea, a 2006 graduate, won 30 national titles as a member of the Penn State Cycling Team. These Games will be his second after having competed in the Beijing Games. Chamley-Watson, a senior, finished third in the NCAA National Championships his freshman and sophomore years while taking runner-up in his junior year; he took 2012 off in his pursuit of a spot on the Olympic team. (Check out our April interview with Miles here.) Gomez-Tanamachi, a junior, will compete in his first Games after having finished the 2011-2012 season as an Honorable Mention All-American. Doris Willette, a two-time national champion in her time here at Penn State, will compete in her second Games. Aronovich, a junior, helped Penn State finish third in the National Collegiate Championships this year while earning fourth in the all-around at the 2012 Big Ten Championships. Ramos, a former six-time All-American, helped Penn State to its record 12th national championship in 2007 in addition to a Big Ten title in 2008; he also holds the Penn State record in the still rings. Dell, a 2007 graduate, will make history as the first former Nittany Lion to row at the Olympics. 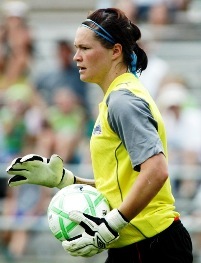 While at Penn State, she competed on the club team, which went undefeated in 2006. McLeod and Moscato, both of Class of 2006, were part of the historic 2005 squad that posted a 23-0-2 record. These Games will be McLeod’s second Olympic appearance and Moscato’s first. Blake and Cox were both members of the 2008 NCAA champion 4x400m relay. Franek, an NCAA champion in the 3,000m steeplechase, placed second at the U.S. Olympic Trials to clinch her first career Olympic Berth. Nieuwendam, a current sophomore, will compete in the 200m after having also competed in the event at the Beijing Games. 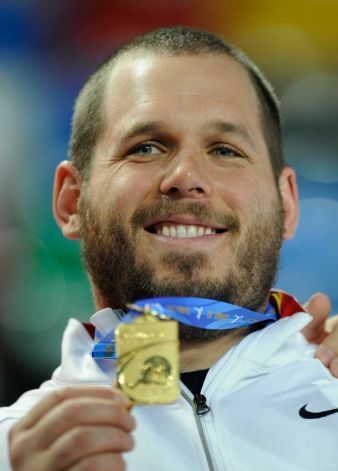 Whiting, a current volunteer coach for Penn State and defending World Indoor Champion in the shot put, will compete at his first Games after having represented the U.S. at the 2011 IAAF World Outdoor Championships and 2012 IAAF World Indoor Championships. Matt Anderson, the Most Outstanding Player during the Lions 2008 championship run, will make his first Olympic appearance at these London Games. Fawcett and Harmotto, class of 2009, and Glass and Hodge, class of 2010, were all part of Penn State’s dominant NCAA title streak from 2007-2010. In London, Harmotto and Hodge will compete on the main U.S. squad with Fawcett and Glass as alternates.